The untold story of Blanche Knopf, the singular woman who helped define American literature. If you’ve ever struggled with the task of composing a guest list for the ultimate fantasy dinner party, Laura Claridge’s biography of Blanche Knopf (née Wolf) will show you whom to put at the head of your table. 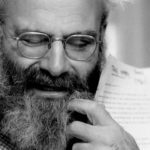 That dream guest is, of course, Claridge’s subject: the petite, intense and, as Robert Gottlieb once put it, 'fierce and exigent' co-founder of the great literary publishing house Alfred A. Knopf. Claridge handles the theme of a woman’s struggle for power and recognition with aplomb...[but] the incessant Blanche/Alfred shoving match – the 'couple’s peace was always frangible,' writes Claridge, sounding a new depth in understatement – soon wears thin. The story is sad and fascinating—so fascinating that one wishes Claridge were a more careful writer. Her prose is clunky and a little tone-deaf, starting with that title, which is both overwrought (isn’t it enough to be a tastemaker, without also being 'extraordinaire'?) and a little misleading. It’s true that using a borzoi as the trademark was Blanche’s idea, but that was before she owned a pair of them. After a brief exposure, she declared that borzois were 'cowardly, stupid, disloyal, and full of self-pity' and switched to Yorkshire terriers. The biography is also incorrect in places (Ford Madox Ford’s 'The Good Soldier' is not, as Claridge writes, a First World War novel) and wadded with information that is either self-evident or irrelevant. 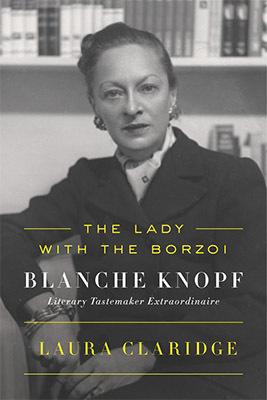 What did you think of The Lady With the Borzoi: Blanche Knopf, Literary Tastemaker Extraordinaire?